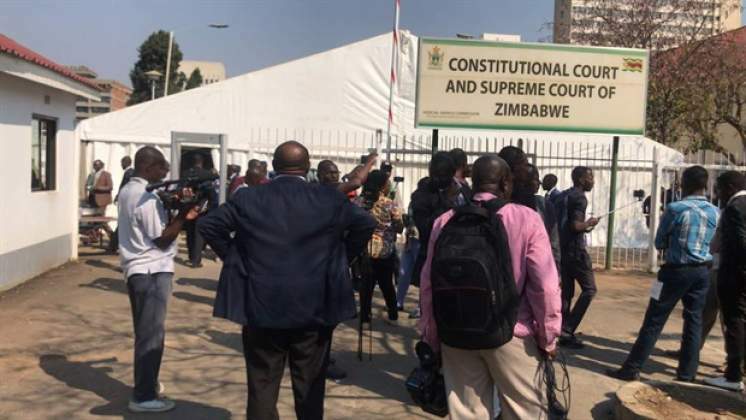 The Constitutional Court is expected to rule on presidential election results challenge by MDC Alliance. Malaba ends by thanking the lawyers’ integrity during the proceedings and the people of Zimbabwe for the confidence they have in the judiciary. Chief Justice Malaba: The applicant made several startling allegations without referring to source evidence. ZEC proved through the V11 forms that some forms were signed and populated as opposed to what the applicant said. Chief Justice Malaba: If the applicant had placed before the court the V11 forms it would have disposed of any questions of vote rigging, it would have addressed issues of similar results at some polling stations. The Chief Justice us now reading the complaints raised by the applicant on the conduct of the elections.